Problems with infertility (fertility problems) are terribly destructive. 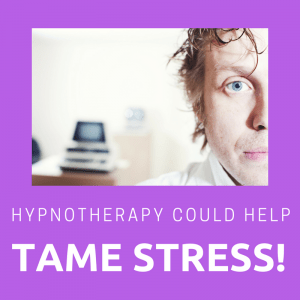 Hypnotherapy could help! Can hypnotherapy help with infertility? Is it possible that hypnosis can help people to overcome fertility issues? We’ve recently heard news that the Duke and Duchess of Cornwall are expecting their third child. Royalists are celebrating but there is one group of people for whom this news came as yet another punch in the gut. If you’re one of them, I’m sorry. I wish I’d known about hypnotherapy back in 2003. My wife and I had been trying for three years to have a child and things felt awfully, hopelessly bleak. I know about it now, however, and so do my clients. The good news is that I have worked with clients in Reading, London, Wallingford, Thame and Oxford and have helped desperately unhappy people to recover their poise and to have happy, healthy babies as a result. You can be assured, I really do know how it feels to begin trying for a baby and finding that the months and years drift by without any result. It was a horrid time and I’m truly sorry that you’re going through it now. I remember those soul destroying appointments in the John Radcliffe, Oxford, discussing how my wife’s hyperthyroidism would pose a massive obstacle to conception. I remember the awful feeling of being a terrible person when i couldn’t join in with the celebration of another couple’s wonderful news. I remember it all. I’m sorry you have to be here, looking for help with the same problems. I know how it hurts to hear that friends are expecting babies of their own. It’s painful, hateful and all-encompassing. I remember the awkward silences when clumsy relatives asked when we were planning to produce a great-grandson, nephew or cousin. I remember suffering the well-meaning pity of those who knew and who could only offer empty and meaningless platitudes. I remember the damage those years of childlessness did to my marriage. I remember the indignity of tests and medical interviews, the general and all-pervading sense of hopelessness. I remember it all, even though my daughters are now twelve and fourteen years of age. It all ended happily for my wife and me. It could still end happily for you too. Hypnotherapy could help you to maximise your chances of things ending in such a fashion. If you’re here, reading this, then there’s still perhaps some hope. Get in touch and we’ll discuss how hypnotherapy could help you too. Nobody can fully step inside the shoes of another person but I do find that my own personal experience of this issue is a great help when working with people in Reading, Thame, London, Oxford or Wallingford who are going through similarly awful times. Empathy alone won;t be enough by itself, of course, but it does leave many people feeling happier to discuss their problems in the therapy room. I wish I’d known then what I know now. Stress has a deleterious effect upon fertility. Suffering from fertility issues is an incredibly stressful experience. It becomes a vicious circle of misery. 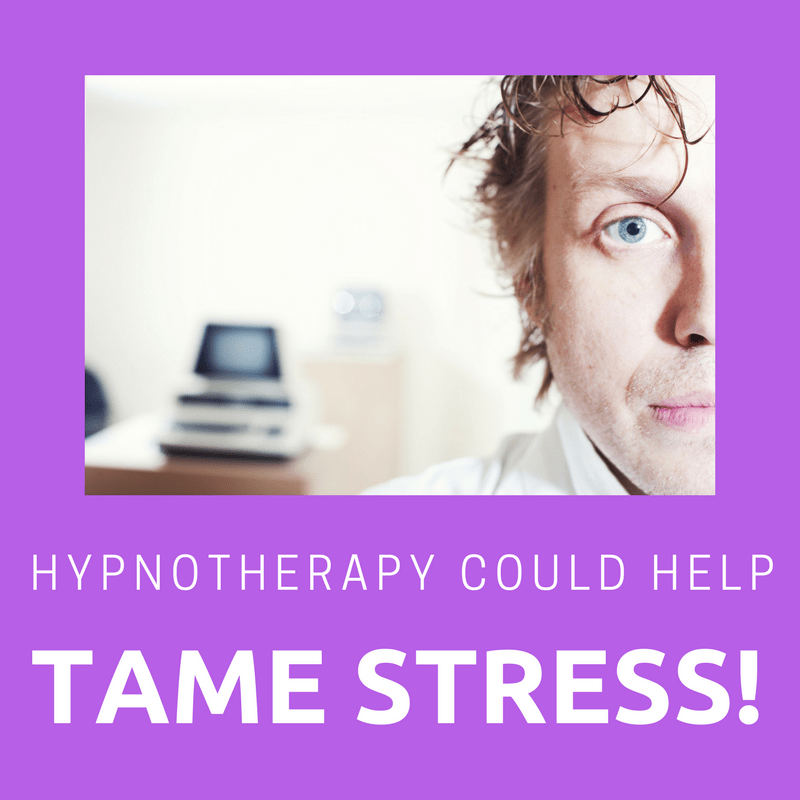 I wish I’d known then that hypnotherapy, in the hands of a skilled hypnotherapist could help. Every aspect of our physical being is affected by our emotional state. Emotion, in fact, is a physical experience. Can you imagine fear without adrenaline and a racing heart? The simple truth is that your emotional state is closely connected to your ability to conceive. If you’re experiencing emotional problems as a consequence of fertility issues then the problem can begin t become self-perpetuating. I could help you to put the emotional side of things right. Yes, I know that you’ve been told to ‘just relax’ a thousand times. It doesn’t seem to work, does it. I can offer you more than meaningless nothings on this topic. I could help you to deal with the emotional side of things in order that your body can be in the best possible shape for conception. Hypnotherapy can help in this regard. I’ve helped several couples to have happy and healthy babies. You could potentially be the next. Can you imagine joy without that feeling it produces in your body? Laughter really is the best medicine. Stress can help to cause cancer. The mere act of imagining a meal can cause salivation. Is it really so great a leap to believe that our emotional state can affect our fertility? It isn’t. It’s accepted as fact. It’s a positive thing because it means you have room in which to improve your chances of having a baby. By now you’ve probably tried everything. Perhaps you’re embarking on IVF or IUI and want to maximise your chances of success. That’s good. I could help you. Give me a call to find out how. Another common obstacle to conception is the fear of pregnancy and of giving birth. It’s a surprisingly common problem and I have worked with a good number of clients in order to help them to let go of this fear. The body is highly sensitive to the condition of the mind. A phobia of being pregnant gives the body powerful reasons to obstruct the process and to render it impossible. If you’re presently experiencing tokophobia and would like to have a child, please give me a call. I’ll be happy to help you to let go of this subconscious block to conception. There is every reason for hope! Months or years of fertility issues can lock in a cycle of fertility-repressing emotions and behaviours. Cortisol, one of the major stress hormones, is known in my trade as the ‘progesterone stealer’. Cortisol is produced by breaking down progesterone – one of the main hormones involved in conception. Infertility becomes a vicious circle. Alice Domar, one of the country’s experts on infertility and mental health states that fertility problems cause as much anxiety and depression to women as a cancer diagnosis. She goes on to say that the longer the despair lasts, the more likely it is that infertility will be prolonged. It’s a purely poisonous situation. The more despairing you become, the less likely it is that conception will take place. It’s a truly vile situation to be in. You have my most sincere sympathy. There is, however, hope. Please do feel free to get in touch. There’s no hard sell awaiting your call. I’ll be happy to talk with you and to explain how hypnotherapy could help you with fertility issues. hypnotherapy and hypno-psychotherapy) contact me here. In 2016 the British Medical Journal released research which showed that hypnotherapy was a better treatment for infertility than CBT. You can read the research here. 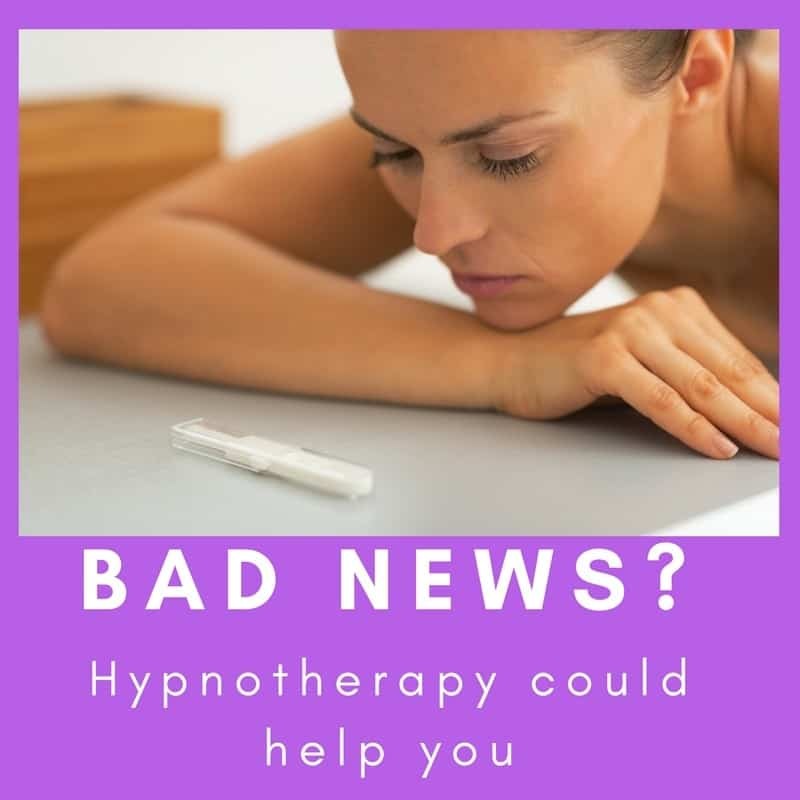 That’s great news for hypnotherapy and great news for you, because it shows that when you find someone who is well trained and who understands the issues, there is a light at the end of the tunnel. 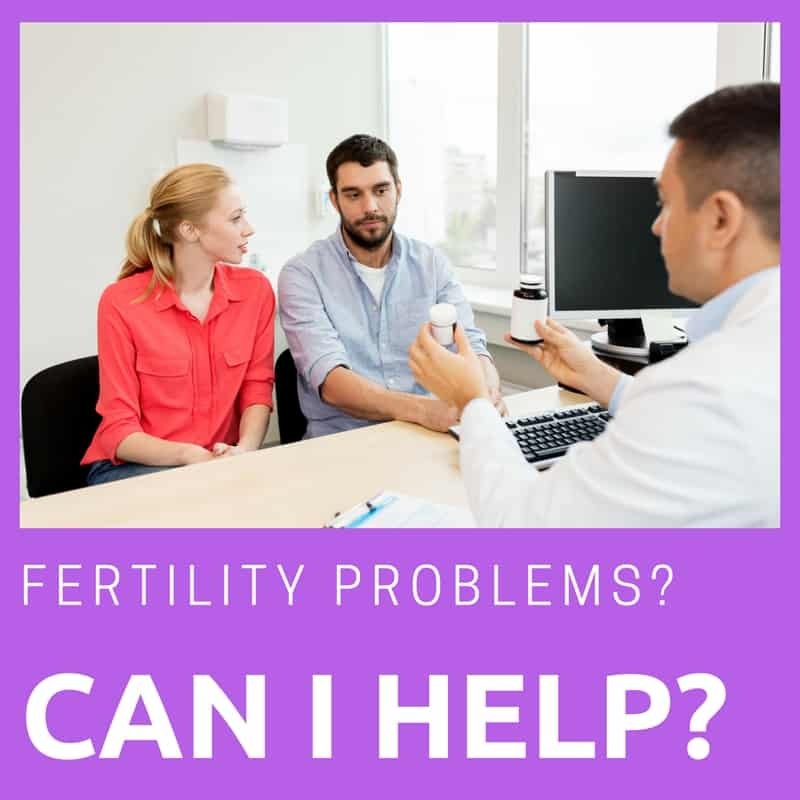 You can be sure that you’ll be working with someone who understands, very well, the awfulness of fertility issues. You’ll be working with someone who has undergone extensive training in how best to help couples experiencing fertility issues. I was trained to work with fertility by Sharon Mustard. Sharon works in Salisbury and consults with the NHS to provide hypno-birthing in that part of the country. She is an expert in hypnotherapy and fertility and I have found her training to be of first class quality. In the past two years there are at least two babies in the area of Reading, Berkshire, who were born after the mother worked with me in order to maximise her chances of conception. I can’t guarantee that the work we’ll do together will produce a baby but I can offer you the opportunity to live with hope, positivity and renewed optimism. When we have you facing your challenges in the most positive state of mind possible, you’ll be in the best possible shape to conceive. Ready to learn more? Give me a call! If you’d like to find out more then please do call me. I offer warm, professional and effective hypnotherapy in Reading, Thame, Oxford, London and Wallingford. If you live in or around these places and would like some hypnotherapy for fertility issues then you could call 07786 123736 / 01865 600970 / 01183 280284, email me at paul@resolvedhypnotherapy.co.uk or use the contact form below.